Off to my right on the desk, buried somewhere in a wobbly stack, is a piece of paper that says Todd and I completed 27 hours of foster home certification training. It's legit and everything. In the eyes of our state we're just a quick (ha!) public home study away from being qualified foster parents. We've had it since this summer and I'm still not sure what we're going to do with it. I should probably find out if it has an expiration date. 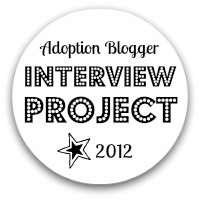 Both times that we took the preparation workshops for our two adoptions, there were couples there who were still really undecided about the whole adoption thing. I didn't understand them at that point. At the workshop stage in the process you're taking time off of work and shelling out significant (at least to me) money--it's not really something I'd do on a whim. At the time it seemed to me that you'd wait until you were at least a little bit sure about adopting. There are easier ways to get your questions answered. Yet there I sat in an uncomfortable chair at our local child protective services office for 27 hours over two very hot weeks this past July, not entirely sure what we would do next. In our area, foster parenting and adoption from the foster system are two separate tracks. If you are wanting to adopt, they (theoretically) aren't calling you with foster placements. In reality, of course, foster families frequently end up adopting kids who've lived with them when reunification or kinship placements aren't possible and pre-adoptive homes sometimes see kids be successfully reunified with family. But they wanted us to choose one track or the other and we thought we had made our big decision by signing up for the foster parent training instead of the adoption one. Only it turns out they put the two groups together and train them all at once and everyone gets the same certificate. So much for making decisions. So we have that certificate. We have a folder of paperwork to start a home study process. We've had more than one discouraging conversation with different local foster agencies. And I've done nothing more since July, save pick up the home study folder every other week or so and put it back down. I've been reluctant to talk about this as we bumble around looking for direction. I know how it looks on its face when put up against some of the uglier realities and hierarchies of domestic adoption: we adopted a white baby, then a brown baby, and now we're considering foster parenting. Like the people who chirp about how they want to adopt when they're "done having children of their own." I know what actually happened in our family's story and what brought us to this point. But putting things out on the internet means knowing that people will judge you for how things look and not how they are. 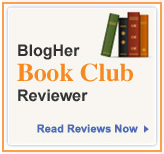 I've never been the bravest blogger. Not to mention the simple fact that they're always in need of new foster homes around here, so all my indecision and navel-gazing seems pretty self-indulgent in the face of the need. I've become friends with too many foster parents to be anywhere near starry-eyed about possibly being part of the system. There are no fantasies about being a saintly foster parent, a transformative beacon of hope in a hurting child's life. I just know I've started to have that feeling again that there is someone missing in our house. A sense that there is space at our table waiting to be filled with another person, whether for awhile or forever. And it seems right to explore opening up our home in this way. You've hit the nail on the head for the story in our house again. We knew there was more room at our table, but I'm a jump-in-with-both-feet kind of girl so we just did it, with of course, me dragging dh behind. Sent out the paperwork almost 2 years ago, approved in January and still waiting to add up to 3 more kids to our table. My long, convoluted point is that it's a big step, but we often make it bigger in our minds than it has to be. Nothing in life is perfect, or guaranteed, so good luck with your next steps! We are kinda in the same boat as you guys except that we aren't quite as far along. We've got the initial paperwork mostly filled out, but haven't returned it yet. We are fairly certain that we will return it, but it's been slow going. I know exactly what you mean about the judging part. We adopted a white infant (not that we specified that, it's just what happened) through the same agency that you used for Puppy and now we're in the foster to adopt line and who knows what situation we'll be considering. We've already gotten a lot of judgement about it, but thankfully it's been in person and not on our blog. I'd rather confront people directly than annonymously. Good luck in making your decisions. I look forward to hearing updates as you have them. Oh, I am so so excited to follow your next steps! Can't wait to see what unfolds! Good advice and encouraging words so far. Don't mean to sound dense (although lately it's happening more and more...eek), but what judgment could people be heaping on you about how you've chosen to grow your family? For what it's worth, your blog has been an inspiration to me, and I am sure MANY others. My DD is only 9.5 months and I am thrilled beyond words that her first mom reached out to us through our agency. So your journey has helped me more than you will ever know. Now, for those judging you (and anyone else who feels it). Screw 'em. Seriously. You and your husband have two AMAZING little kids. Race does matter, not suggesting it doesn't, but don't let people define you or your family by THEIR assumptions. Being a foster parent is serious business. From your accounts here, you sound like you'd be a fabulous addition to the network. We initially thought we'd adopt through foster care, but realized we wanted an infant first, which was not compatible with our local system. Right now, I can feel the pull to go back and get our FP license. DH isn't there yet. But my heart is telling me, and I like how y'all put it: "room at our table". The thing with foster-to-adopt...you never know who may pop in your door! Our DD is Hispanic/CC on her first mom's side, and AA on her fdad's side. Not sure how we would feel about adding another CC person to our family, but it's a road I am willing to travel. I know it's early, and tentative, and all that, but...I hope you won't mind if I'm excited and delighted for you and your family! I have to say that I don't think the "navel-gazing" is at all self-indulgent. Kids in the foster system deserve guardians who are comfortable with the role, as well as confident it's the right decision for the family. Re: the judgers, I say screw 'em. I know that I've not shared things with people for the same reason as you (I know the truth, but how does it look without an in-depth discussion of the reasoning of it?) Anyone who knows you and/or reads your blog regularly knows what amazing parents you and Todd are, as well as how much thought you put into parenting. Just in case I haven't made it well known enough... I am downright giddy at the possiblity of you becoming foster parents. There are not enough good ones - especially ones that understand the importance of ongoing family contact. I hope it works out! I love the line about sensing someone is missing from the table. I am looking forward to watching this piece unfold in the thoughtful informed way you go about everything! We're toying with the idea of adopting again. I can relate to the idea of wondering about the future as I'm kind of there, too. I wish there was a way to get a clear answer, not just worrying about making the right choice. So, not to be a complete wet blanket on the joy-fest. Foster parenting is a different breed of parenting from adopting a newborn. When you parent the child who is waiting, the hurt child, it is a different relationship. Have you read "The Weaver's Craft?" 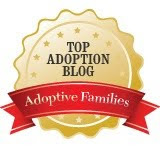 I have been involved in the world of adoption for 9+ years, including being a parent of a child through adoption, being an advocate and serving on the Board of an agency. I have many friends who have become foster parents, including those who are strictly therapeutic foster care parents - taking only the toughest. What each of these people have in common I'd say is a burning desire to bandage the wounds, to give some stability and structure to a child whose life has been chaos. They are savvy about attachment issues and attachment parenting (one even had a shirt made up for a toddler struggling with attachment issues: "Please don't pick me up! I am attaching to my mama!" and they are strong enough to withstand crushing decisions by others that make no sense to them. It is a fantastic way to be a parent for those whose goal is to be a refuge and a source of some healing for a child in crisis. It's not necessarily the best way to 'fill a seat at the table, a hole in a life'. If that's you - the hole is the need to even briefly shelter the hurt child - then go for it. @Anonymous - Thank you for your comment. Those are good points. We're not thinking about this as a third-adoption-just-by-a-different-route. My comment about feeling like there was a seat at the table was about feeling that we have the emotional resources right now to be part of helping a hurting kid--something that wasn't true during the past couple of years when the kids were younger and less independent. I wasn't trying to say I feel a personal emptiness, although I can certainly see how it could read that way. I've been reading and listening to others around attachment and foster parenting for about a year as I've started thinking about this, because it is unique. I definitely don't think I know everything there is to know, and I know it wouldn't be easy or anything like the sort of parenting we've done up to this point. Which is why I am glad people like you are willing to share from your experience. Ours (just got it last night) expires in 12 months. But the orientation one we received expires in 6 months. We did 11 weeks, 33 hours. And that's about what I've been doing with our stack of papers that we need to file before getting inspected, studied and approved. Hope you're able to make the right decision of when and how. I never realized how indecisive I'd be this time around. I'm so excited to follow along with your journey! And hey - we adopted a non-special-needs child internationally - no judgment here. Wow, that's cool. We went through the six hour (I know!) training here last month and now are beginning the assessment phase...if our trainer ever has time, that is. We're in the same boat - not really ready to charge ahead, but just taking small steps without a lot of clarity. I'll definitely be interested to see what shapes up for your family.